I love exploring New York City and we were able to find some great new spots to stay in the city during our weekend getaway. 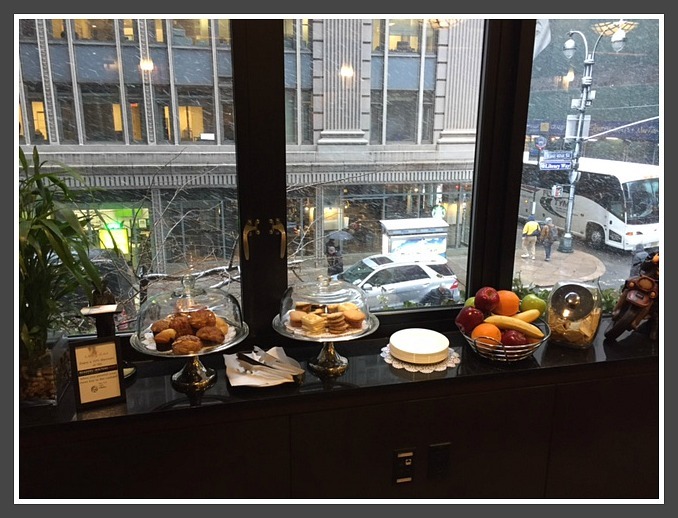 We were invited* to stay at one of the Library Hotel Collection properties, the Library Hotel, nestled on the corner of 41st and Madison Avenue, on Library Way. A gorgeous location to place a hotel with the New York Public Library at the end of the street! This hotel was incredible! I love the size of this boutique hotel and we found our way to our room on the 7th floor. Each room has a theme, based on the Dewey decimal system, which I think is so clever. Our room was the music room. Inside, it was decorated with musical photographs, and the bookshelves were lined with books on various music groups, artists, and compositions. Depending on the theme of your room, the books and decor found within would correspond to that topic. I thought this was really cool! Our room was extremely clean, comfortable, and relaxing. The perfect place to curl up and read a book, actually! 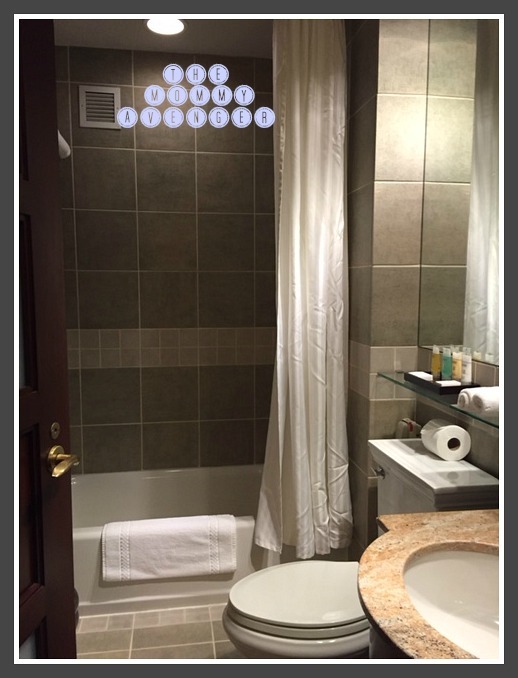 For a New York City hotel room, it was quite spacious and had a large bathroom loaded with lovely smelling soaps and shampoo. The lighting of the room was so soft and warm, which was such a contrast to the cold and snowy day we were experiencing on the first day of Spring! You can see the wonderful view from our window. 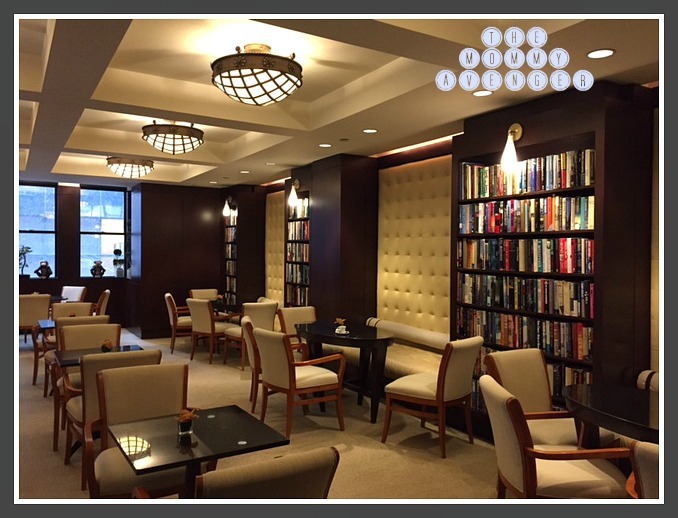 The Library Hotel offers free wi-fi, complimentary wine and hors d’oeuvres during an evening reception, as well as snacks and drinks throughout the day and night in The Reading Room, located on the second floor. Also, a lovely breakfast spread can be found here in the morning. This is a very cozy and welcoming space where one can unwind or get ready for the day. 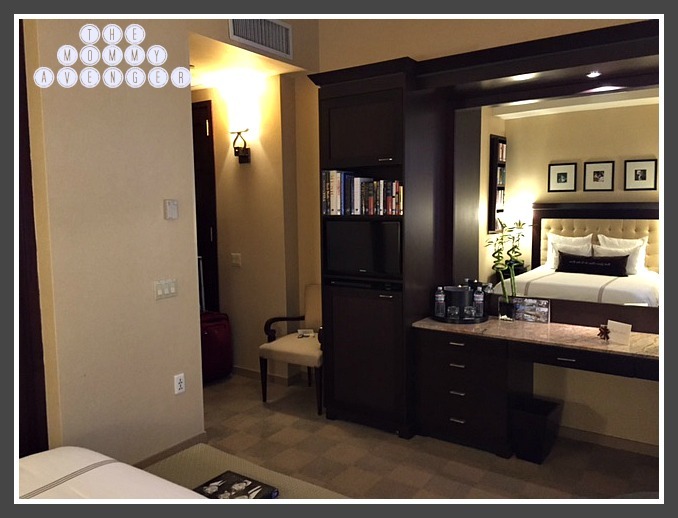 The staff at the hotel is extremely accommodating, friendly, and very approachable. They are able to help with any needs you may have. 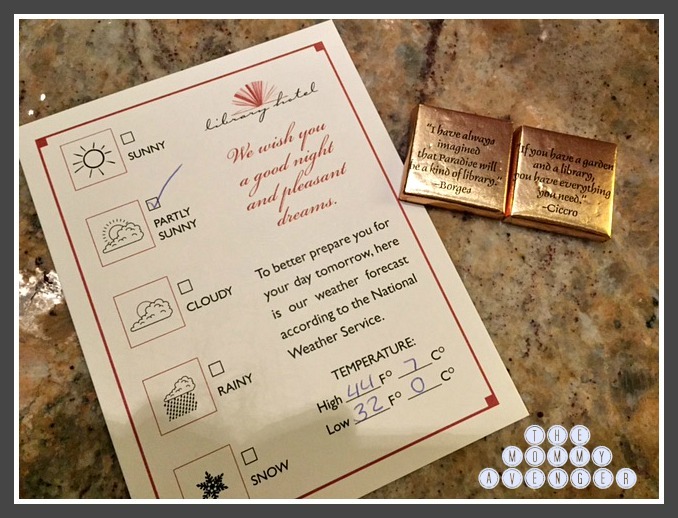 After a fun night out on the town, it was great to come back to our room and see that we had received turn down service, with some great touches such as chocolate, the forecast for the next day in the city, and soothing, soft music playing. 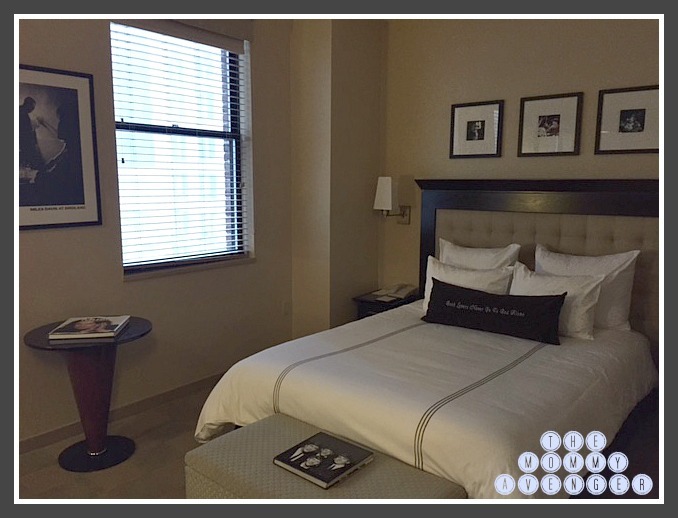 The Library Hotel made our stay a lovely one, and was no exception to the remarkable experience I have come to have at all the Library Collection Hotels I have stayed at in New York, such as Hotel Giraffe and Casablanca Hotel. 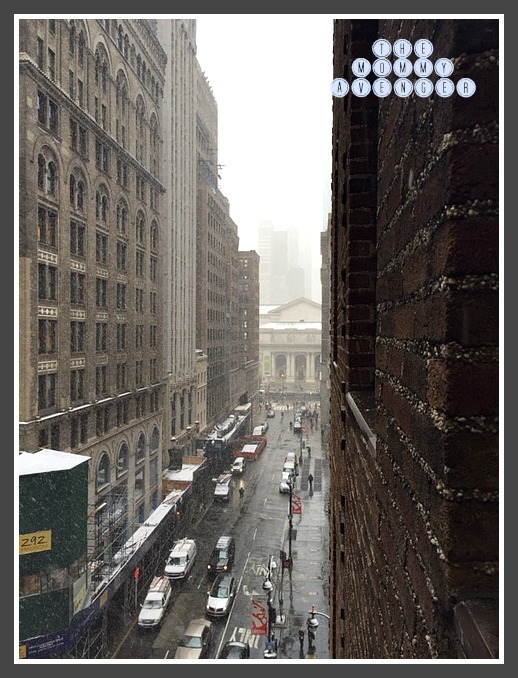 I will definitely be back to this location, as it can’t be beat to the proximity of Bryant Park and Times Square. I highly recommend booking a stay at Library Hotel to see how wonderful it is for yourself! *We were invited to stay at the hotel to facilitate a review, all opinions are my own.